You take a stroll down a sunny street, wave to the smiling vendor at the flower stall on the corner, chat with a friend by the fountain at the center of the town square and head back to your picturesque cottage with a baguette tucked under your arm. Perhaps you haven’t noticed that all the streets hit a dead end. You don’t know that the clerks in all the stores are actually nurses. As far as you’re concerned, it’s 1959, the year you graduated from college, and your high school sweetheart could be coming by at any moment. You’re content in that thought – even though it’s actually 2018, and your village is really a care facility. You’re allowed to live in the mental and physical space that makes you the most comfortable. To some, this kind of trickery might seem cruel, recalling the plots of movies like The Truman Show (in which the protagonist, unbeknownst to him, lives in an artificially constructed environment and life.) 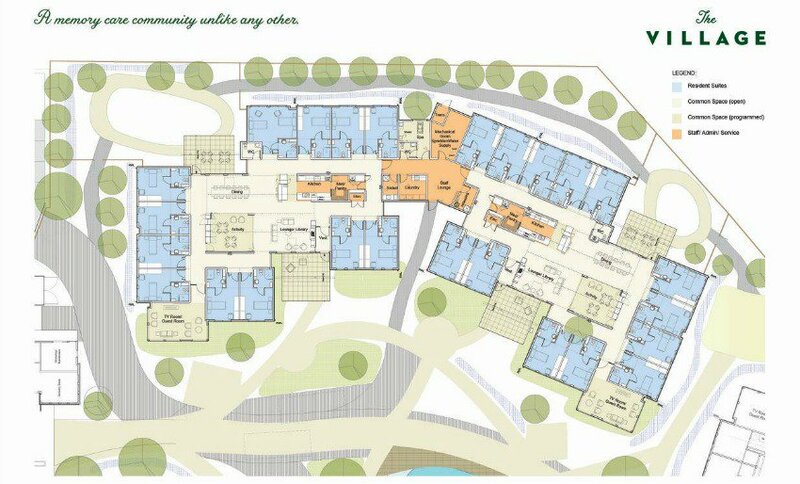 But advocates of these ‘dementia villages’ say they grant patients a lifestyle that has a lot more in common with their pasts in the real world than a potentially cold and unfriendly nursing home ward. The idea is to give elders suffering from a decline in mental faculties a “happy place” to enhance their quality of life. After all, Alzheimer’s Disease and other forms of dementia can’t be cured, but thoughtful care and treatment can make the diagnosis much less stressful to patients and their loved ones. People with dementia often experience memory distortions, impulsivity, wandering and restlessness, and in the late stages of the disease, they usually need 24-hour supervision to ensure their personal safety. Most residential care homes for people with dementia accomplish this in the institutional manner of a hospital, providing housing, meals, health care and supportive services if not a place that feels like home. 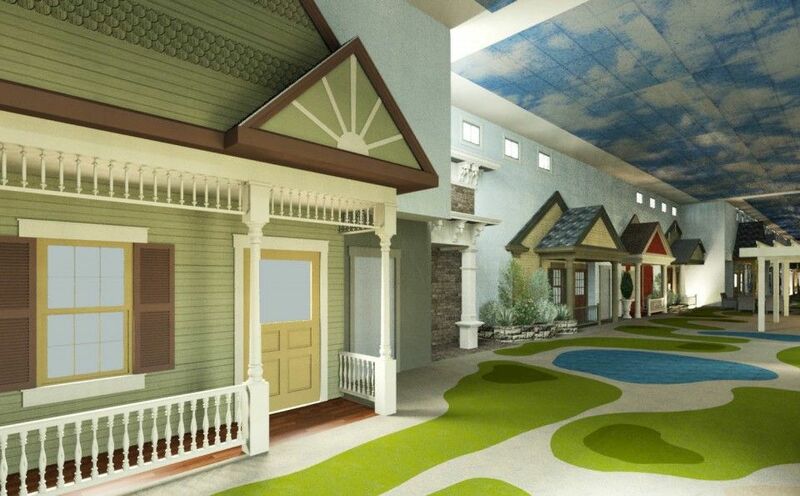 But facilities that aim to recreate the feeling of patients’ pre-dementia lives allow patients to safely relive the memories of people, places and experiences that were once important to them, supporting them in the process and granting them a crucial measure of autonomy. 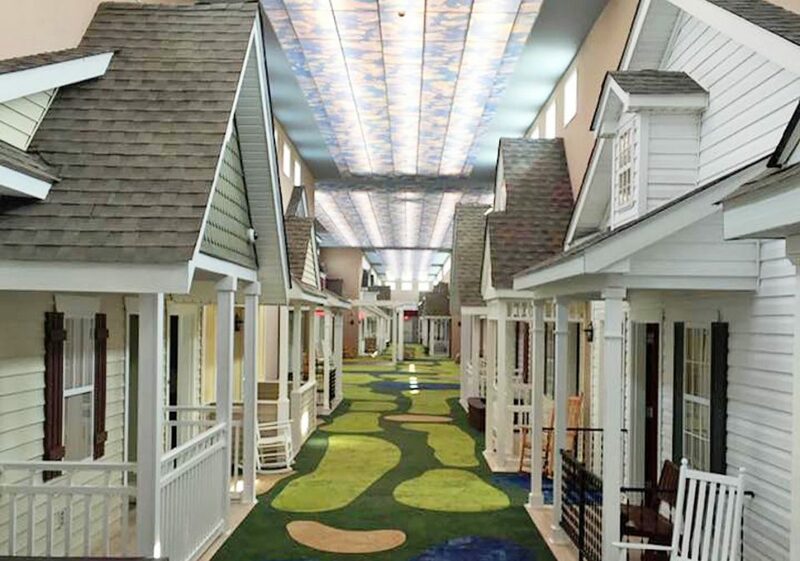 In Ohio, a series of facilities called The Lantern has replaced the impersonal atmosphere of a care home with something a little warmer and more pleasant. 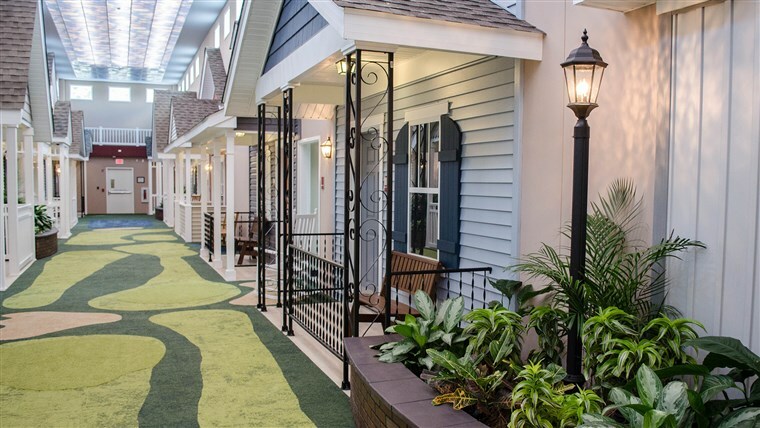 Instead of wandering brightly lit hallways lined with small bedrooms, patients meander through what looks like a small town complete with faux grass, street lamps and rocking chairs on front porches. Hidden speakers fill the air with the sounds of birds chirping. Patients can gather together at cafe tables to chat and enjoy a cup of tea, or stroll down Main Street past the facades of ‘restaurants’ and ‘stores.’ It’s a little bit Disneyland, a little bit Las Vegas and a lot more fun for residents than a sterile nursing home. The Lantern currently has three locations, each with a slightly different look. The interiors are all styled to resemble the United States in the 1940s and ‘50s for a sense of comforting familiarity. These homey environments are designed to stimulate creativity while encouraging socializing, walking and partaking in physical activities like ping pong. While it’s probably not going to fool most people into believing they’re really outdoors despite those LED sky ceilings, the atmosphere provides a much gentler transition into full-time care than more standard institutions. But how about allowing seniors with dementia to experience something a little more lifelike? 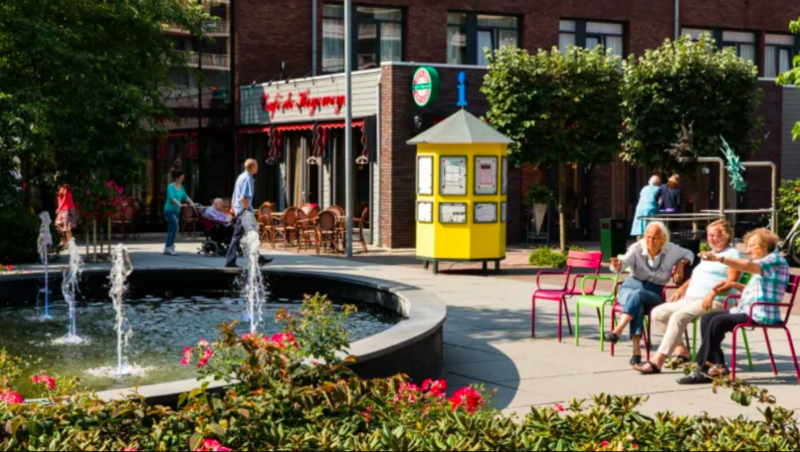 In the Netherlands, there’s an entire village dedicated to dementia care. 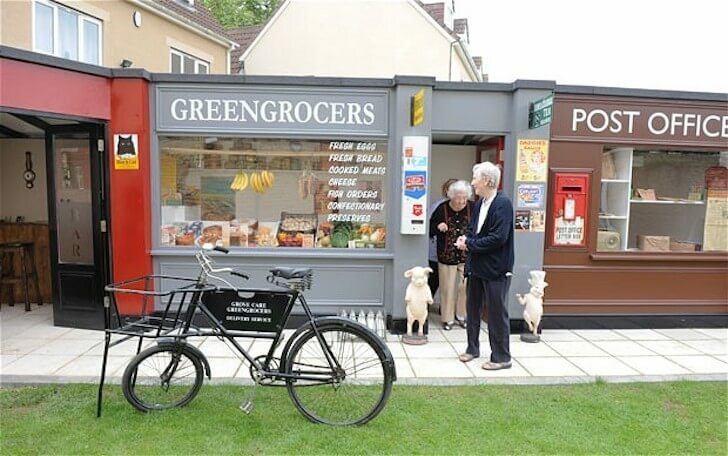 With a setup based on those of real towns, including open streets and public squares, Hogewey Dementia Village allows its residents to experience the weather and the seasons, shop for their own groceries, enjoy movies in a theater, tend plants in a garden and drop by the post office. They live in real homes, individually styled to match the time period in which the residents’ short-term memories stopped functioning normally. But there are no busy roads bustling with cars, no ways to wander off into dangerous areas, no contact with the public at large. 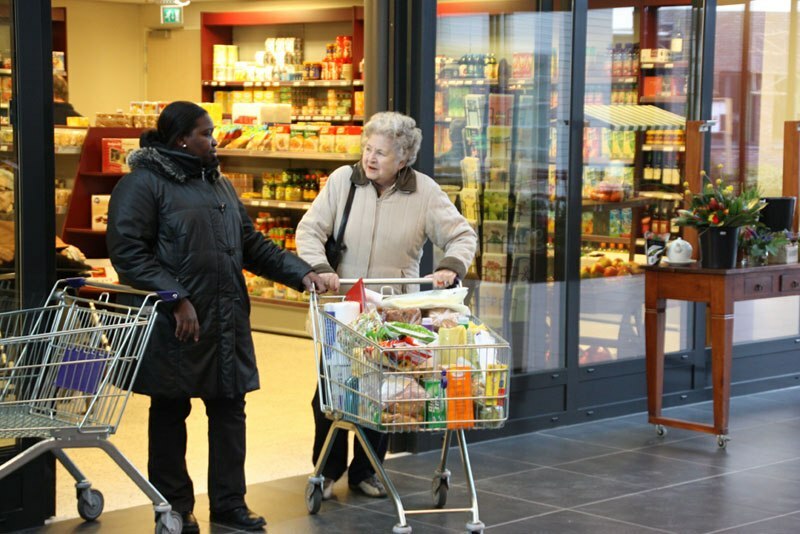 The smiling cashiers in the grocery store, the servers in the cafes and everyone else they meet in the village are actually caretakers keeping an eye on residents’ well-being. As The Atlantic points out, a private room at a nursing home in the U.S. costs more than $90,500 annually, and the number of people suffering from dementia is expected to rise sharply in the coming decades. 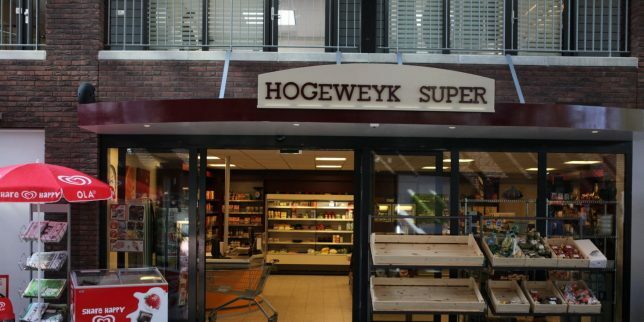 At Hogewey, the cost of care runs around $8,000 per patient per month, but it’s subsidized by the Dutch government, and families pay an amount that varies according to their income but never exceeds $3,600 per month. This model is catching on. 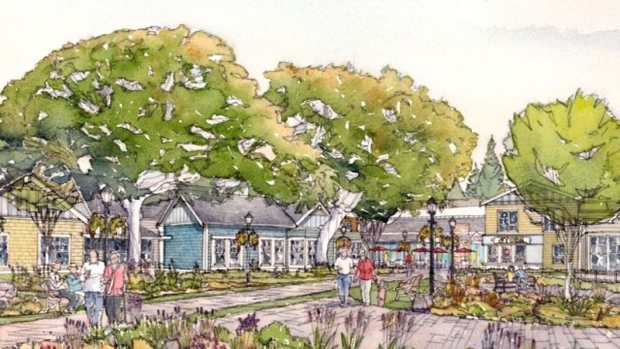 In Canada, ‘The Village’ provides “single-story, cottage-like homes” that open up to five acres of park-like grounds with accessible walking paths, gardens, a barn with animals and a community center so residents can “live their life, their way, every day.” Ireland’s CareBright Center in Limerick will function similarly, with 18 homes, a cafe, a beauty salon, a gym and other features of real small towns. 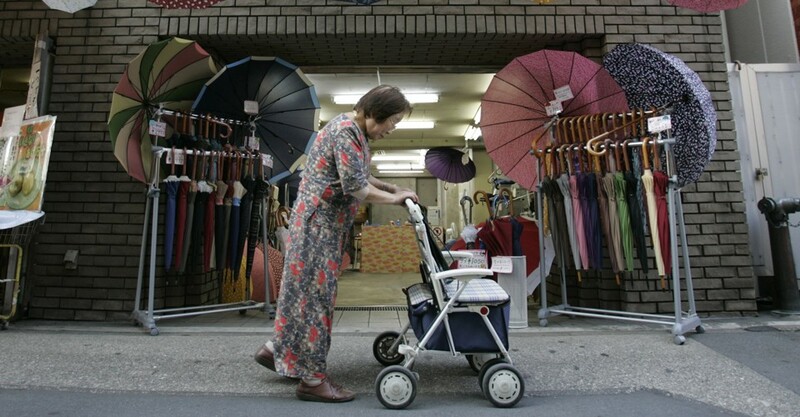 In Japan, where one in three citizens will be 65 or older by 2035, caring for dementia sufferers is shaping up to be more of a community-wide effort that plays out within the real streets of its real villages. Knowing that Alzheimer’s and other conditions will soon become more widespread, the government is instituting a multi-pronged approach to monitor and support its rapidly aging population. The plan includes setting aside increased funding for better early detection methods, clinical trials for better drugs and enhanced training for caretakers as well as awareness campaigns. One program even brings people with dementia into schools to familiarize young people with the condition. 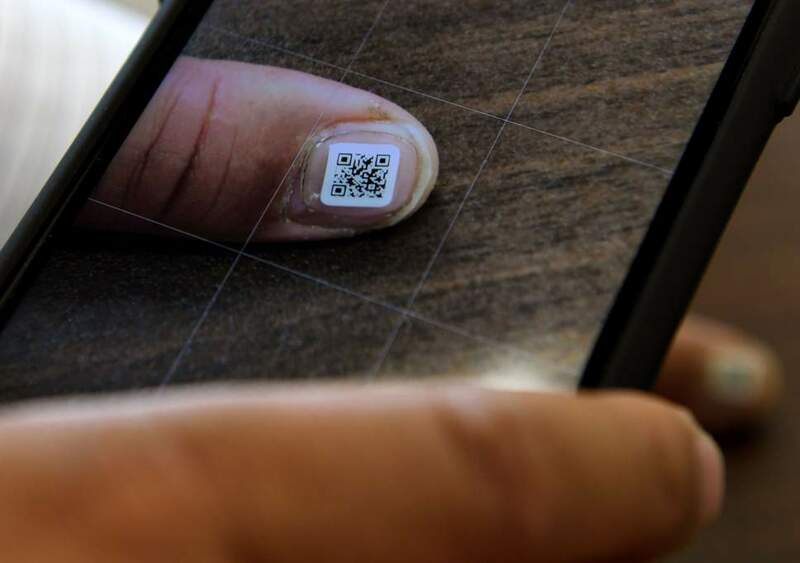 In the meantime, they’ve come up with an easy way to keep track of wandering elders: waterproof QR code stickers that affix to a person’s fingernails or toenails. Sure, this one definitely sounds dystopian – but nursing homes and private caretakers already use GPS devices like bracelets to track patients’ whereabouts, so it’s not a new development. Could measures like these make the real world safer for people with dementia in the future? Many people say ending up in a nursing home is one of their greatest fears. But we all age, and most of us need some level of care in the process. Environments that center all the vitality of life and its joys provide a dramatically different framework for that process than facilities that feel more like a long white hallway leading to inevitable death. If you were in need of round-the-clock care, where would you rather spend your twilight years?